Hyperconverged Infrastructure (HCI) continues to mature, and increasingly wins business mindshare over traditional IT offerings for almost all enterprise use cases. HCI adoption is no longer driven just by cost-effectiveness and simplicity, as performance joins the all-important list of business criteria. Are you evaluating HCI within your business, and want to better understand the impact of infrastructure performance on your applications? 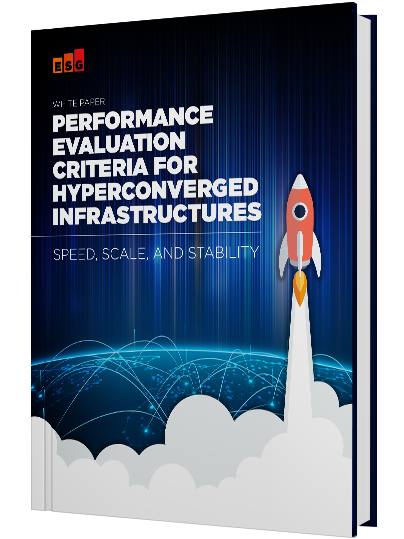 This whitepaper from Enterprise Strategy Group reviews the top factors driving organizations to deploy hyperconverged infrastructure, with a focus on speed, scale, and stability evaluation criteria. HCI buying criteria, and the role “hero” performance numbers play in influencing buying decisions. Workload speed: the differences between theoretical and real-world performance. Hyperconverged infrastructure scaling, and linear vs. nonlinear performance. Underlying infrastructure stability and how infrastructure should react when failures occur.